The settlement known as Volksrust is a reasonably large town in the Mpumalanga wetland area ,and has a population just less than 25 000. 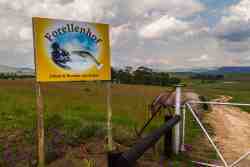 It lies on the border with KwaZulu Natal at the meeting point of the R23 and N11 freeways. Its position on the border makes it an ideal stop-over when travelling from the interior to the KwaZulu Natal battlefields and onwards to the coast, but there are also some points of interest around the town itself. The town is the commercial centre of an agricultural area, but is also historically rich with numerous Boer War battle sites within close proximity. The town's main industries however are beef, dairy, maize, sorghum, wool and sunflower seeds. Its mild climate with summer rainfall supports the crops grown in the area. Volksrust, which means 'Citizens' Rest' in Dutch, was initially laid out across 4 farms in 1888, but was only officially proclaimed in 1889. It was given its own municipality in 1904. A site close to Volksrust was where one of the major battles of the 1st Anglo Boer War took place, and it's said that the victorious Boers rested there after the battle, hence the name. In an unfortunate turn of events, Volksrust became the site of a British concentration camp in the second Anglo Boer War, where hundreds of Boer women and children were made to suffer. Today the best historical site to visit in the area is Majuba Hill, the site of the initial battle. Close by there are also 4x4 and hiking trails, as well as a popular paragliding launch site. A quick look at our website will give you the information you need to make your choice. You will find reviews and you will also be able to compare prices and find wonderfully affordable accommodation in Volksrust. Are you planning the perfect getaway but have not yet found your ideal Volksrust accommodation? By using our easy website, you can find great accommodation of all types, whether it is a cosy bed and breakfast or a comfortable lodge. We have thousands of easy to find listings for self-catering facilities, holiday homes, guest houses and hotels as well as backpackers, chalets, caravan facilities, villas and apartments, giving you a wide variety of options when it comes to your accommodation in Volksrust. To help you find the right place to stay, we have a number of tools that you can use, including a map. This will help you to pin point exactly where you will be staying and it will show you the accommodation facilities that are closest to where you will be. Regardless of the reason for your visit to Volksrust, we can guarantee that you will find the type of accommodation you are looking for. 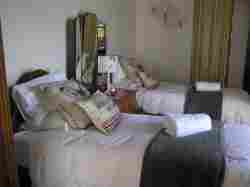 But reviews for Volksrust accommodation is not the only information you will find. Want to know if your Volksrust accommodation is pet-friendly or allows smoking? All of that information is included on the listings page. You will also be able to find which activities are on offer and the sort of amenities included with each room. All of this information will help you to make an informed decision before you make any payments to, giving you more peace of mind about your choice. 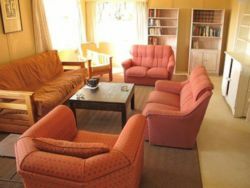 We include all of the contact details of the self-catering accommodation, holiday homes, guest houses and hotels as well as backpackers, chalets, caravan facilities, villas and apartments in Volksrust which are featured on this website, so you also have the option of getting directly in touch with the place. 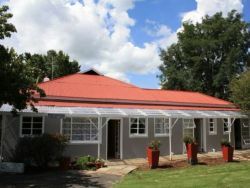 Regardless of where you are staying, we feature Volksrust accommodation in that area of the province. 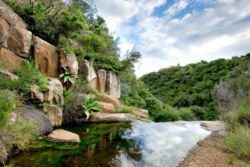 You have options of Volksrust guest houses, lodges and bed and breakfasts, among others, ranging from your more affordable, lower prices to your more luxurious options. So, you are not visiting for a holiday but rather for business and all you need is a place to stay for a night or two? The bed and breakfast options, as well as the lodges, are generally preferred by business people and you will find all types, from your more luxurious lodges to your simple, self-catering bed and breakfast. Each will give you a safe roof over your head while you are in the province. 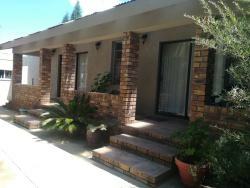 Volksrust accommodation is not only affordable but well situated. If you are doing business in this area, this is a great accommodation choice. Spending more than a few days in the province? Perhaps you are indulging in a tour of the region and you are looking for a few places to stay? Browsing through our listed self-catering accommodation, holiday homes, guest houses and hotels as well as backpackers, chalets, caravan facilities, villas and apartments in Volksrust will give you all of the information you need to make your selection. And once you have found the ideal place to stay, you can either request a quote or make your booking directly on this website. Sleeping-OUT.co.za is designed to make finding and booking accommodation in Volksrust easier than your traditional methods of sourcing a place to stay! We include some great accommodation special deals in and around Volksrust.